Feeling stressed, anxious, or blue? Struggling with bad habits or feel like you're living in a mental fog? Exercise can help. Exercise has a wide range of benefits, but most people focus on the physical. While there's nothing wrong with using exercise to lose weight, build muscle, or maintain flexibility and stability — in fact, those are great reasons to work out — physical benefits are hardly the only reason to lead an active lifestyle. Exercise also comes with a wide range of mental health benefits. Even if you don't struggle with your mental health, getting active can improve your moods, focus your mind, and increase your energy so you can conquer the day. And the benefits aren't only short-term; according to Psychology Today, exercise leads to lifelong improvements in executive function, verbal memory, and psychomotor speed. Not only that, but exercising at least twice per week protects against dementia in old age, even if you don't start working out until midlife (of course, starting sooner is always better). For people who have experience with mental health issues, the benefits go further. Physical activity reduces the risk of developing depression and anxiety and eases symptoms for people living with mood disorders. It also increases self-esteem, which is of incredible value for people whose mental illness leads them to question their self-worth. 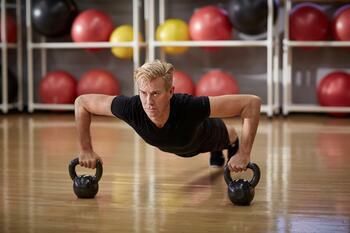 Exercise is also an effective tool for people battling addiction. Because exercise creates the same euphoric effects as many drugs, albeit to a lesser degree, it's a healthy stand-in for people trying to overcome drug and alcohol cravings. It also reduces stress and keeps boredom at bay, thus eliminating two common triggers for relapse. If this is a battle you or someone you love is fighting, learn more about how exercise aids addiction recovery at The Doctor Weighs In. Despite the extensive benefits, many people find it difficult to commit to exercise. A big part of the problem is that people think exercise has to take the form of lifting weights or sweating it out on the treadmill. While those are valid ways to exercise, they're not the only options. Group fitness classes: Group exercise is not only fun, but working out with a group also encourages you to stick it out and not quit early. Hip-hop dance, Zumba, and kickboxing are great for those seeking a high-energy workout, while Pilates and barre are a good place to start for a slower paced, low-impact workout. 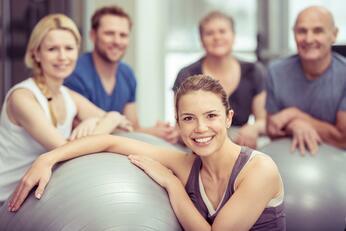 Milestone has 270+ group exercise classes per week to choose from! Yoga: Yoga can be done in a class setting or solo; either way, practitioners come out feeling mentally and physically refreshed. In addition to providing a full-body workout, yoga improves balance, flexibility, and body awareness, which improve performance and prevent injury in other types of exercise. If you're just trying yoga for the first time, you might feel comfortable in one of Milestone's Level-1 yoga classes, gentle yoga classes, or senior yoga classes (even if you’re not a “senior”). Milestone offers 30 yoga classes per week. Or, if you're looking for something a little unconventional, try dog yoga. Working out with your dog also means you always have a dedicated workout companion to keep you motivated. Cycling: Just about everyone knows how to ride a bike, making cycling an excellent starting point for people scared off by other forms of exercise. Milestone offers 30 cycling classes per week. Aquatic Exercise: If you are concerned about your joints and want to start with something low-impact, aquatic exercise might be a great place for you to start! With fun energizing music and effective, low-impact exercises, you’re sure to burn calories without the painful side-effects. Milestone offers 75+ aquatic exercise classes per week. Exercise is for everyone. * Whether you're young or old, overweight or underweight, mentally well or mentally ill, exercise can improve your health and your life. By starting with exercise that's approachable and fun, you can take the intimidation factor out of your workout and start building a healthier body and mind for life. *Be sure to check with your physician before beginning any exercise program.